The Annual Wellness Visit (AWV) is a Medicare covered benefit that focuses on prevention. During the visit, the provider and patient develop or update a personalized plan to prevent disease and disability; the AWV is not an annual physical exam. 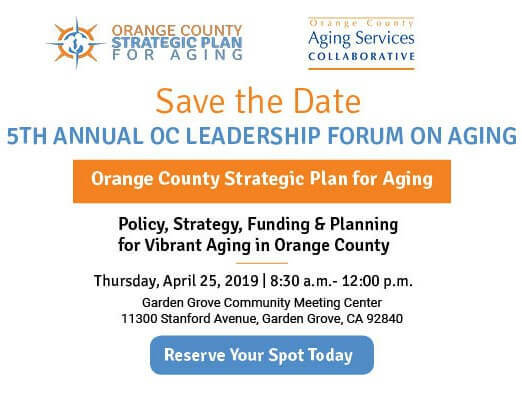 The Orange County Healthy Aging Initiative (OCHAI ) developed this toolkit to guide health care practitioners in the AWV components and provide tools and local resources for implementing prevention strategies. This toolkit is provided as a guideline only. This toolkit is provided as a guideline only; Medicare specifies the AWV components and providers should use their clinical judgment in their provision for an individual patient. We hope you find the information useful. We welcome any questions or comments you may have about this toolkit; please e-mail us with any feedback.